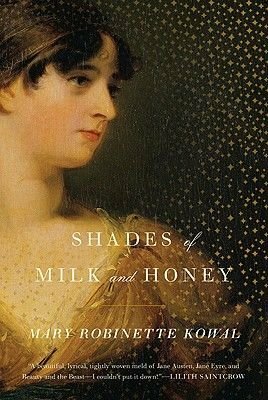 "Shades of Milk and Honey "is exactly what we could expect from Jane Austen if she had been a fantasy writer: "Pride and Prejudice "meets "Jonathan Strange & Mr. Norrell." It is an intimate portrait of a woman, Jane, and her quest for love in a world where the manipulation of glamour is considered an essential skill for a lady of quality. Jane and her sister Melody vie for the attentions of eligible men, and while Jane's skill with glamour is remarkable, it is her sister who is fair of face. When Jane realizes that one of Melody's suitors is set on taking advantage of her sister for the sake of her dowry, she pushes her skills to the limit of what her body can withstand in order to set things right--and, in the process, accidentally wanders into a love story of her own.